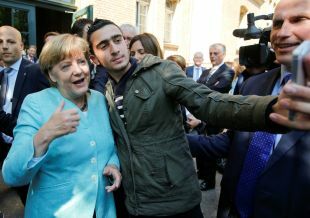 BERLIN – In sharp contrast to the great concern aroused by the hundreds of thousands of refugees who have arrived in Europe in recent years, to Dr. Samuel Schidem, they are the Continent’s hope. “The only chance for Europe’s relationship with Islam lies with the refugees,” says Schidem, an Israeli Druze who has been living in Germany for 15 years. 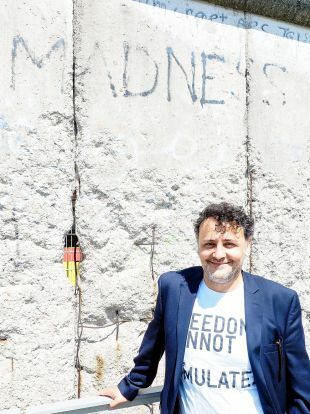 As part of his work in the Topography of Terror museum in central Berlin, he gives educational workshops to refugees and veteran immigrants of all ages from Arab and Muslim countries. “After the incidents in Cologne [a reference to sexual assaults on New Year’s Eve 2015/2016 attributed to Arab refugees],” he says, “the refugee was perceived as a harasser and a danger to women, but that was one specific event. Most Syrians come from a civil society without any clear religious elements and they don’t come to Germany in order to stay here for the rest of their lives. “They come here because Europe’s messages to the Arab world have been about human rights, equality and democracy,” Schidem tells Haaretz in a recent interview. He notes that many Arab refugees, especially Syrians, arrive in Germany with anti-Semitic perceptions that they absorbed during many years of political hostility between their homelands and Israel. 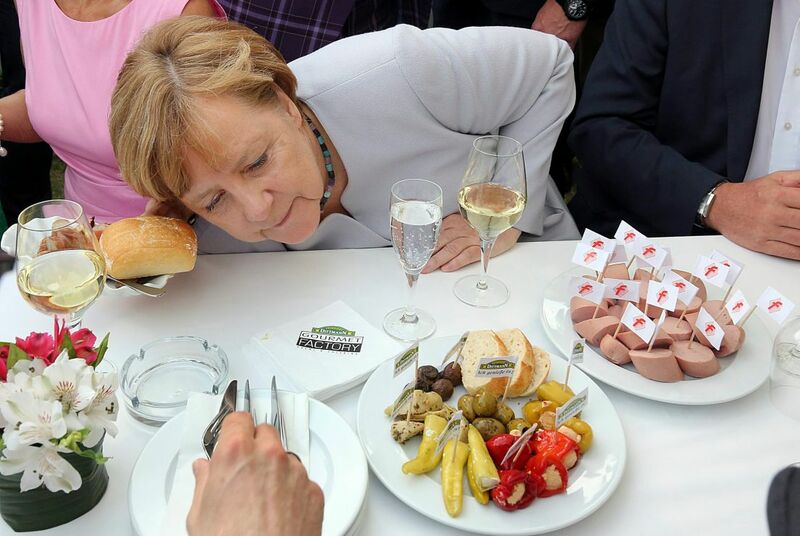 But among the second and third generations of immigrants – those who were born and raised in Germany, some of whom barely speak the languages of their countries of origin, whether Arabic, Persian or Turkish – anti-Semitism and extremism are far worse than among the parents’ generation. 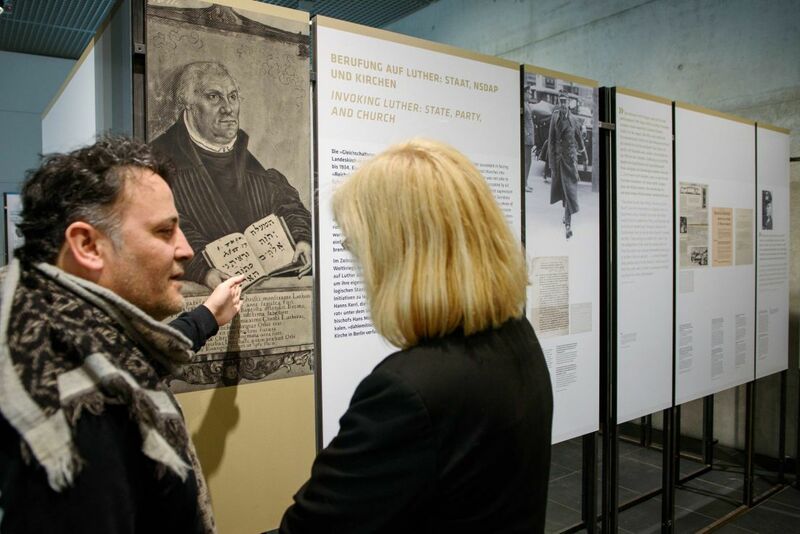 Some six years ago, after leaving the Jewish Museum, Schidem started to focus on one particular aspect of German-Jewish history in his work: the Nazi regime, its perpetrators and activities. 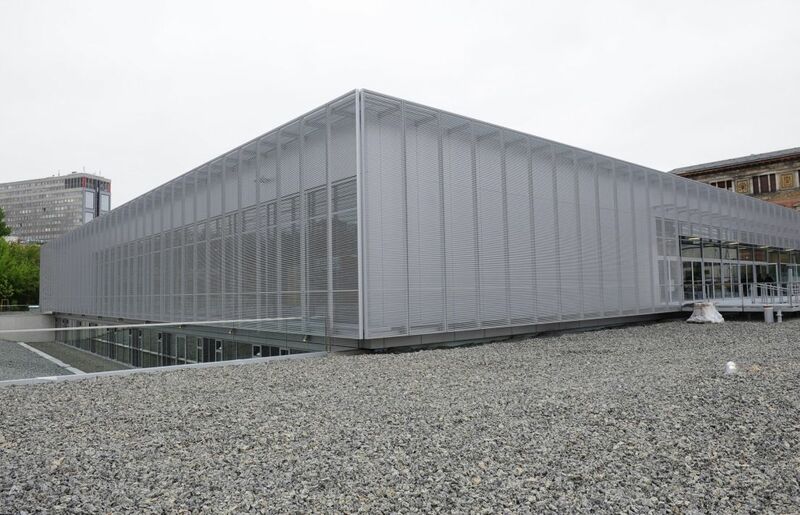 These phenomena are documented in the Topography of Terror museum, which was built on the ruins of the central headquarters of the Gestapo and the SS. Today Schidem gives workshops for recent refugees and veteran immigrants from Arab countries, prepares educational programs and conducts tours at the museum. Beneath the relaxed and smiling facade of this exiled Israeli intellectual, it turns out that Samuel Schidem's life story fated him to live between worlds in a process of ongoing migration that causes considerable emotional turmoil. Schidem was born in the Druze village of Isfiya, in northern Israel. At home he heard stories of the Zionist heroism of his grandfather, who fought alongside the Palmach Jewish militia in 1948 and, according to family legend, was among the forces involved in breaking through to besieged Jerusalem. For the past 12 years Schidem has lived with a Christian woman, with whom he had a son six months ago. This situation has caused a tremendous rift at home since, as a member of the secretive, tightly knit religious Druze sect, which originated in Egypt 1,000 years ago, he was expected to marry within the community. Being part of a minority prevented him from identifying fully with Israeli society, he says now; moreover, as a committed feminist he was always repelled by Israel’s militarism. Yet he says he can identify with the Jewish story, the story of being a minority in Europe. After serving in the Israel Defense Force’s Armored Corps, Schidem traveled to Germany at the age of 24 as part of a youth movement delegation, and later received a scholarship to study German in Düsseldorf. He returned to Isfiya afterward, then traveled in France and Spain, and in 2003 began studying medicine at the University of Heidelberg. He switched to philosophy and ended up studying Judaism, including the works of the 12th-century philosopher Maimonides. “The time I lived in France strongly influenced me, because the guy I lived with was from a Jewish family of Holocaust survivors,” he says, adding that after completing a master’s degree in Heidelberg, he moved to Berlin and went on to do a doctoral dissertation at the University of Potsdam on the relationship between religion and the state in Judaism, as compared to Shi’ite Islam, as practiced in Iran. While writing his dissertation he worked as a guide in the Jewish Museum. Schidem claims that the German curriculum has not provided all sectors of the population with access to information on Jewish history, the Holocaust and Nazism. Muslims and Arabs in general are particularly neglected when it comes to being educated in these subjects, which is problematic because Hitler is still seen as an admirable figure in Arab countries. Schidem believes that responsibility for fighting Islamic societies’ reluctance to deal with this part of history should not only fall to Germany, but to Arab intellectuals as well. “No one wants to be blamed for this situation, and in recent years [efforts to change it] were hurt by the fact that Benjamin Netanyahu, for example, spoke of [Jerusalem mufti] Haj Amin al-Husseini’s meeting with Hitler and presented the Muslim attitude toward the Holocaust through this story. Many people met Hitler, not only the mufti. That’s not the way to address a population which is also a minority that is trying to find itself here in Germany. “In order to deal with history you also have to find positive points, and there were such points – for example, the story of the Egyptian doctor in Berlin who helped Jewish families and was declared a Righteous Among the Nations. And there were Druze soldiers who fought alongside the British in World War II. So there are other stories that can be told,” says Schidem. Schidem is involved not only in educational pursuits, but has also dealt more directly with the plight of refugees. 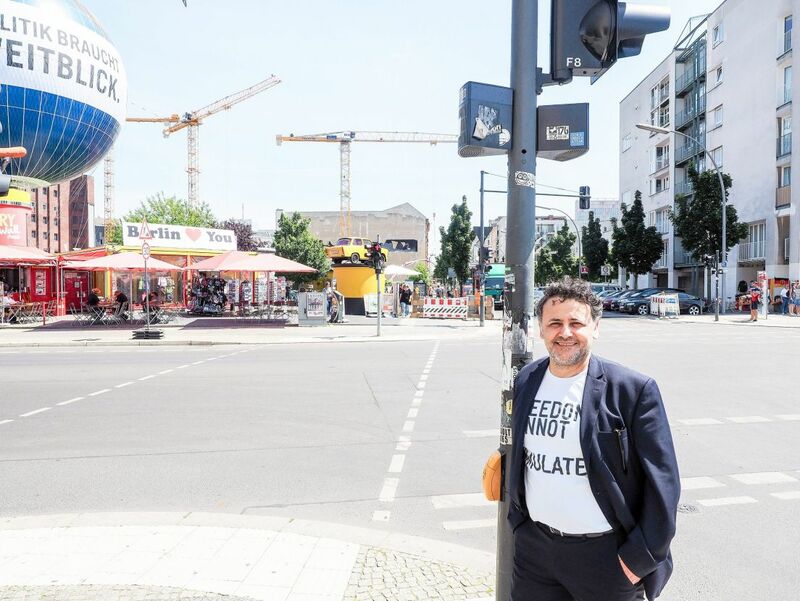 Six months ago, he and a partner established a new aid organization for refugees, called ME-MENTSCHchkg, which assists newcomers with finding work, legal representation, obtaining residency and work permits, and other bureaucratic matters. 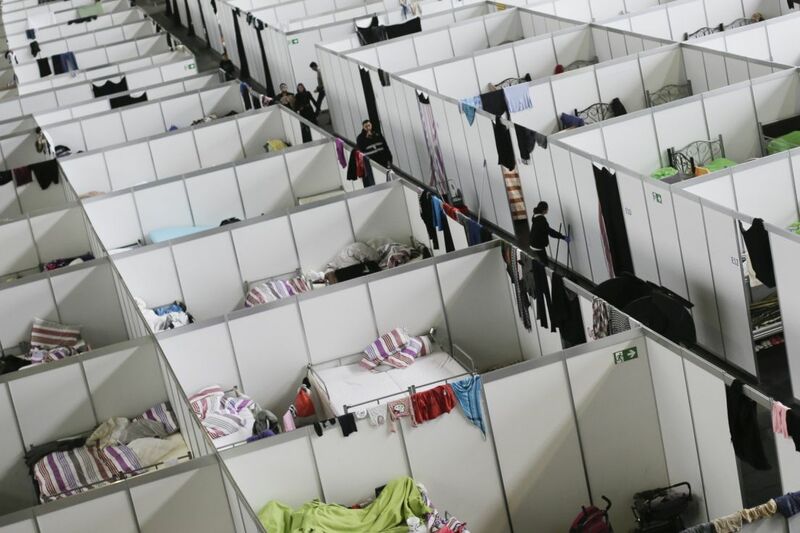 The organization is already active in two refugee shelters, one in the Lichtenberg neighborhood and the other in Neukoln – two of the most problematic centers, he says. At this stage, the organization assists only Arab-speaking refugees, but Schidem is also trying to recruit volunteers who speak Farsi and other languages. In addition, he served until recently as Germany’s director of the Israeli relief organization IsraAID. Many aspects of the global humanitarian-aid industry are problematic, says Schidem, because these efforts can sometimes become fertile ground for corruption and profiteering. In this context he mentions the largest refugee center in the country, located at the abandoned Nazi Tempelhof Airfield in Berlin. After the company operating Tempelhof received its municipal license to work there, he accused the municipality of a lack of transparency and claimed that the operator was motivated by economic interests at the expense of the refugees’ welfare. He is currently working with an organization that seeks to improve the lot of refugees at the center, called Templehofer Berg. In addition to all his activities, one of Schidem’s main concerns remains the fate of Druze refugees from Syria, who he says are in danger of extinction: “According to the Druze ethos, a Druze doesn’t leave and doesn’t flee; that’s what happened with the Druze on the Golan Heights. Now for the first time there are Druze refugees. The Druze are in danger like the Yazidis, in danger of genocide. They’re trapped in Syria and can’t leave for Lebanon or Jordan because they have to pass through a Sunni area. Schidem insists that he’s not part of the typical Druze narrative popular among Israelis, and “I’m not in favor of the Palestinian Druze, which has become something new and very fashionable. I feel that I’ve disappeared in this whole story. That’s the tragedy of the Druze everywhere. Perhaps it’s the fate of the minority, which always tries to integrate but forgets that it must define itself, too.